In 1934, a “sickly pathetic marmoset” named Mitz came into the care of Leonard Woolf. After he nursed her back to health, she became a ubiquitous presence in Bloomsbury society. Moving with Leonard and Virginia Woolf between their homes in London and Sussex, she developed her own special relationship with each of them, as well as with their pet cocker spaniels and with various members of the Woolfs’ circle, among them T. S. Eliot and Vita Sackville-West. Mitz also helped the Woolfs escape a close call with Nazis during a trip through Germany just before the outbreak of World War II. Using letters, diaries, memoirs, and other archival documents, Nunez reconstructs Mitz’s life against the background of Bloomsbury’s twilight years. This tender and imaginative mock biography offers a striking look at the lives of writers and artists shadowed by war, death, and mental breakdown, and at the solace and amusement inspired by its tiny subject. A new edition, with an afterword by Peter Cameron and a never-before-published letter about Mitz by Nigel Nicolson. In short, glistening sentences that refract the larger world, Ms. Nunez describes the appealingly eccentric, fiercely intelligent Woolfs during a darkening time. Sigrid Nunez has long been one of my favorite authors because she writes with the deepest intelligence, the truest heart, and the most surprising sense of humor. A writer of uncommon talent. [Sigrid Nunez’s] spare voice . . . gives even the simplest descriptions of place and weather unsettling force and beauty. Nunez’s voice is unflinching and intimate. [Nunez] takes us beneath the surface to the essential mysteries of the human heart. 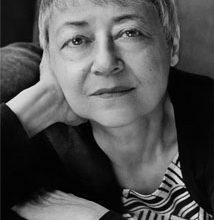 [Sigrid Nunez’s] writing is rich and subtly textured. Nunez’s piercing intelligence and post-feminist consciousness may well feel that writing the Great American novel is no longer a feasible or worthwhile goal—but damned if she hasn’t gone and done it anyway. Remarkable . . . We know immediately we are in the hands of a major talent able to open up a complex history for us . . . [Nunez’s] gift is wild and large. Nunez’s writing is gorgeously spare. When the apocalypse comes, I want Nunez in my life-boat. Nunez is adept at capturing subtle frictions in the interactions between class, race and gender . . . [She] writes with sophisticated insight. Graceful, respectful, and achingly honest. The tender biography of a sickly marmoset that was adopted by Leonard Woolf and became a fixture of Bloomsbury society. Nunez’s writing is haunting and poignant . . . It is, in one word, unforgettable. Nunez has a wry, withering wit. Nunez’s prose itself comforts us. Her confident and direct style uplifts—the music in her sentences, her deep and varied intelligence. A crisply philosophical and undervalued novelist . . . Dry, allusive and charming . . . The snap of her sentences sometimes put me in mind of Rachel Cusk. Though it’s factually based on diaries, letters, and memoirs, Nunez’s Mitz: The Marmoset of Bloomsbury still offers a slice of pure whimsy. Mitz succeeds charmingly in portraying the Woolfs’ companionable writerly routine (as well as their darker days), and in being sympathetic (but not sentimental) toward Leonard’s peculiar pet. Among the flurry of Bloomsbury books, Mitz stands out for taking a (Virginia) Woolf-like imaginative leap. Mitz shimmers with an emotional truth missing from the most rigorous Bloomsbury histories. Delight! Nunez is the absolute best. She is the only writer I know with enough delicacy, subtlety, intelligence, and wit to be a marmoset’s biographer. I adored this book, as small and as brilliant as that little star, Mitz, the marmoset herself. All this, and with it a splendid portrait of the two Woolves, Leonard and Virginia, as well. 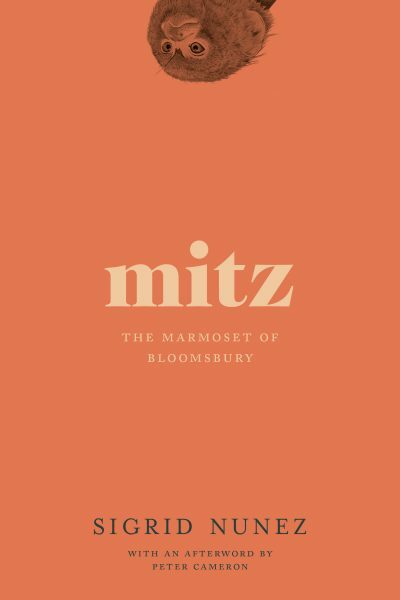 I learned much that is important about marmosets and about the Bloomsbury group from Mitz, and for both insights, I’m grateful. 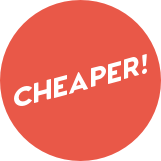 An inventive, intelligent, thoroughly researched and alive creation . . . an absolutely miraculous achievement of intellectual imagination . . . Viva Mitz! A lesson to all of us who foolishly believed that Flush exhausted the unpromising genre of pet biography, Mitz takes Flush back to the muse, the marmoset that briefly belonged to Virginia and Leonard Woolf. In prose so lucid, so supple, so exquisitely entertaining we only slowly realize we are in the presence of art, Sigrid Nunez constructs a diagram of love and solicitude and abiding solitude: Mitz is tender, astute, wise, funny, and deeply, unsentimentally sad—for all its charm, a novel of masterly formal intelligence. Nunez takes great risks with this novel . . . At its very best the book takes on the edginess of Mrs. Dalloway.